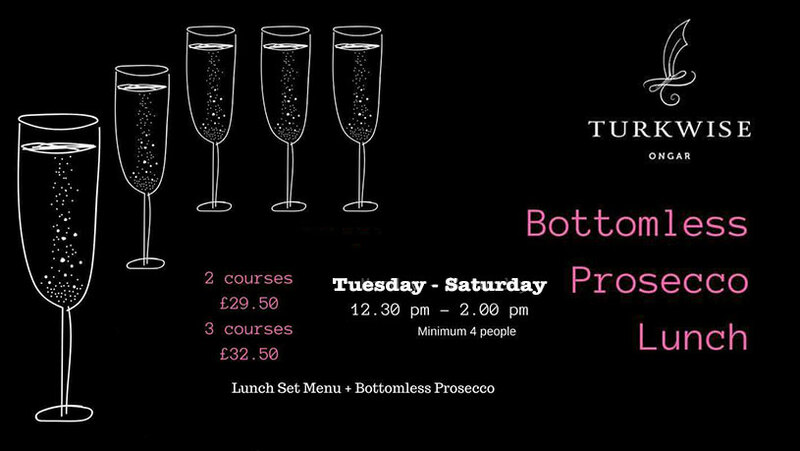 Join us for Bottomless Prosecco Lunch every week. Please call 01277 366770 or email info@turkwise.co.uk to make a reservation. Walk-ins welcome.